The Union’s surgeons and chemists have made their diagnosis, and it scares them: the Technocracy’s diseased and about to tear itself apart. Traditions keep peddling snake oil treatments to a populace yearning for an easy fix. And there are worse things out there, cancers on the world. So the Progenitors must take the only sensible action: arm up and prep the OR. The Masses are gobbling up the ideas behind biotechnology, medical advancements, cloning, and neurochemistry — nearly everything from the Convention’s bag of tricks. But the world is still full of scared people looking for magic pills to make all their problems go away. The members of the Technocracy are no different. But now the Progenitors are in the mix, frantic trauma surgeons elbow-deep in unwilling patients. 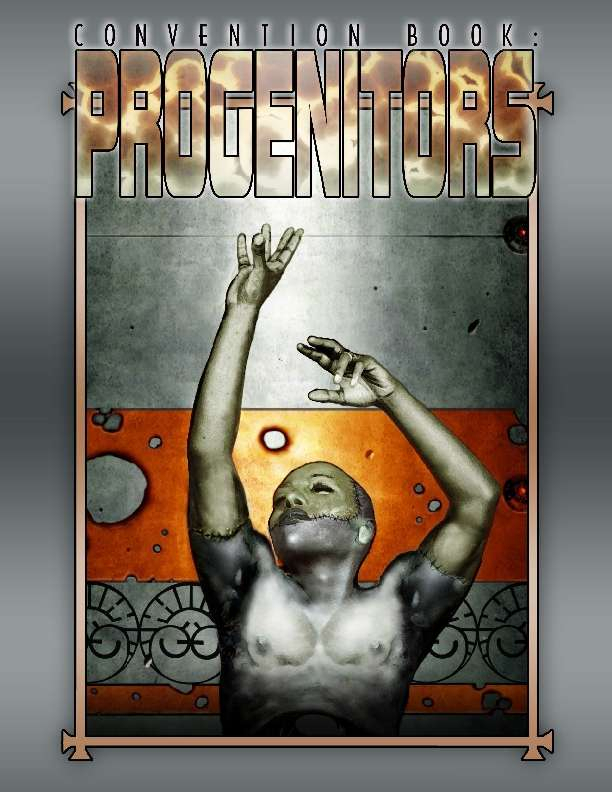 Convention Book: Progenitors updates Mage: the Ascension with 21st century medicine, biotech, and desperate idealism.